Bridge to Skate uses skateboarding to transform the lives of youth by creating dynamic new paths to self-confidence, personal empowerment and responsibility for each other and their communities. Bridge to Skate was founded by Chantelle Heroux who wanted to pay it back for some strangers who positively changing her life when they gave her a skateboard. 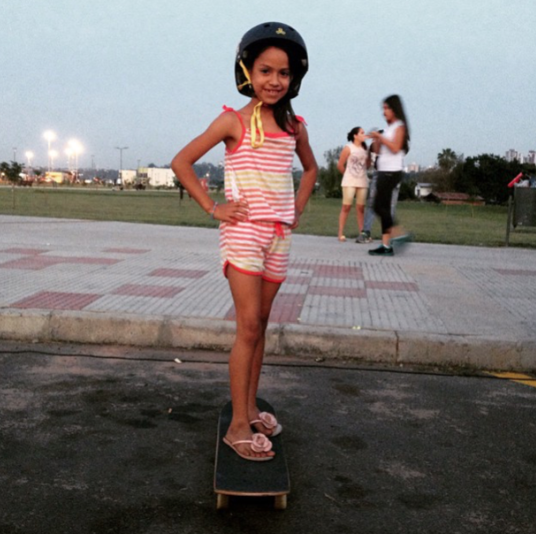 Through her skateboard she learned patience, perseverance and discipline which is what she wants to share now. SF 1) You were 12 when you got your first skateboard, when did you start Bridge to Skate? 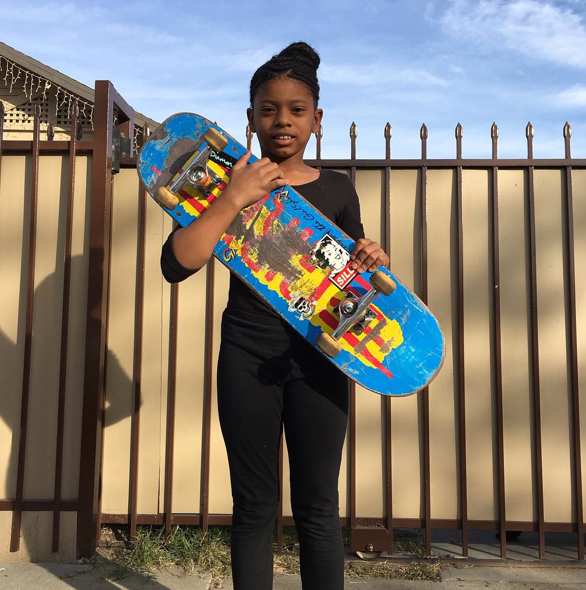 Chantelle: I started giving back through skateboarding prior to establishing Bridge To Skate, but Bridge To Skate became technically established in 2009. I never thought about starting an organization from my ideas- I just wanted to do something, and I felt an obligatory need to help kids the way that I was helped. After attempting to build a skateboard park in Honduras, I was approached by my friend, who proposed the idea. SF 2) Bridge to Skate supports all skateboarders about how many boards to you give out a year? What percentage of that is girls? Chantelle: Every year, we give out at least 365 skateboard completes through our Skateboard Recipient Program. Probably about a third of those go to females. We have a network of shops and people that donate their old gear to us. Anything that still has life, we’ll use to create skateboard completes to give away. With all the old unusable equipment, we host art clinics. It’s a really cool system because something that is useless to one person can create a dream for another. In addition to that- it keeps thousands of pounds of trash from landfills. SF 3) Do you see more girls being interested in skateboarding here in America, abroad, all over? Chantelle: Although skateboarding roots are in the United States, and there is a huge, growing female skateboard scene here, I feel like it’s growing even faster abroad. A lot of nations, like Honduras, don’t really know whether the sport is ‘male’ or ‘female’, so very protective mothers allow their girls to participate. 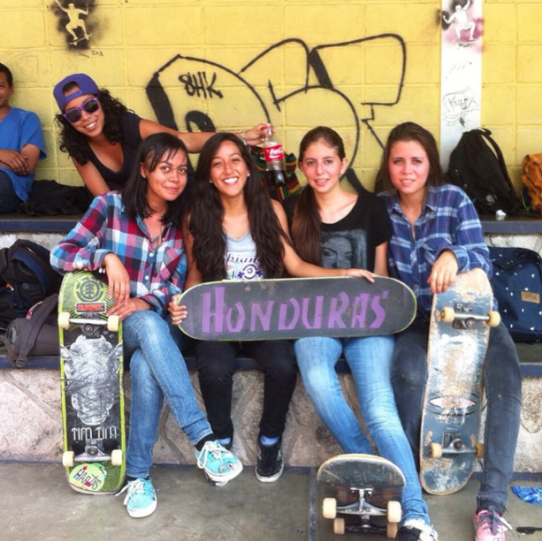 Bridge To Skate built a small skateboard park in a mountain town in Honduras, and it’s very evident who’s taking it seriously- and it’s the females. It’s a really exciting time for female skateboarding worldwide. I think a lot is going to change in the next few years. SF 4) If someone wants to help but they can’t with money – maybe they’re like me too young for a job – how can they help Bridge to Skate? Chantelle: We have so many different ways to get involved with Bridge To Skate. Most of our volunteers are actually youth between 12- 18. If there’s a Bridge To Skate program existing in their neighborhood, we can always use extra help. Or, if there isn’t- we have a Youth Empowerment Program that allows youth to start their own movement. Youth can also always chip-in by saving their old equipment (even if they think it’s trash) and donate it to our program. SF 5) Loved the picture of a girl getting a board from Bridge to Skate on IG. Do you support people after they get a board with lessons – not that giving boards isn’t the greatest gift of all, just wondering what other rad acts of kindness Bridge to Skate does? Chantelle: Certainly. Most of the skateboards we give away are in areas that have existing programs. We’re constantly having contests (which always have a girls category) and learn-to-skate lessons. Most of the boards we give away go to people that have never owned a skateboard before. Occasionally, we’ll give completes away to youth that had their board stolen, or we’ll swap out a really bad board ( ‘walmart’ skateboards) for something that is usable. When the equipment wears or breaks, we’ll sustain it by providing more usable gear (often not new) to keep kids on board. We also have a Mentorship program to make sure our youth stay motivated and moving forward. 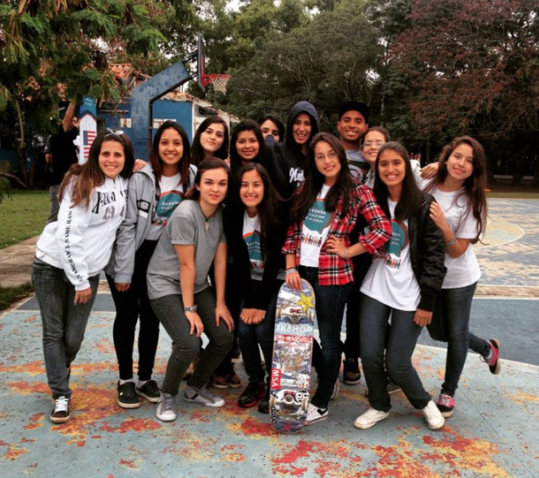 Bridge to Skate definitely an organization/movement that supports girls skateboarding – Thank You Bridge to Skate! And I hope to work more with you in the years to come. We’re almost out of days in January – and we are moving our focus to Canadian Skater Girls in February – but in keeping with January’s theme of celebrating people who help others learn to sk8 – me paying it back for that boy who taught me to kick turn when he really could have rolled far far away – in March we’ll be back celebrating those who inspire. Yes my mission is getting more girls skateboarding for fun and it’s only fun when everyone is encouraged to skateboard so keep sharing your stories about those who inspire girls and/or boys. See below how Bridge to Skate worked with Camp Woodward in Season 7 to inspire all skateboarders & filmers. Filmers – photographers – video shows so important because more people skateboard when they see people skateboarding! And people/organizations working together is so important to getting more people skateboarding for fun. 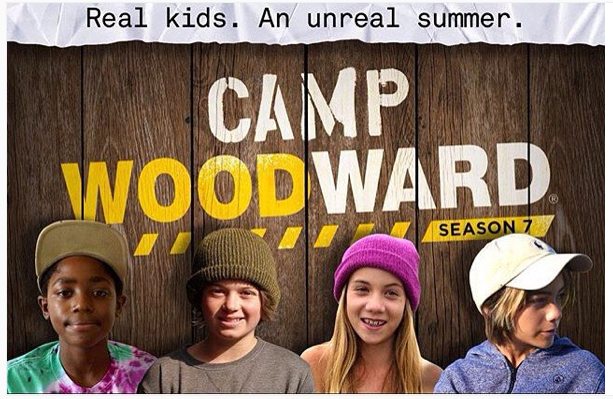 Link to watch Camp Woodward Season 7 click here.